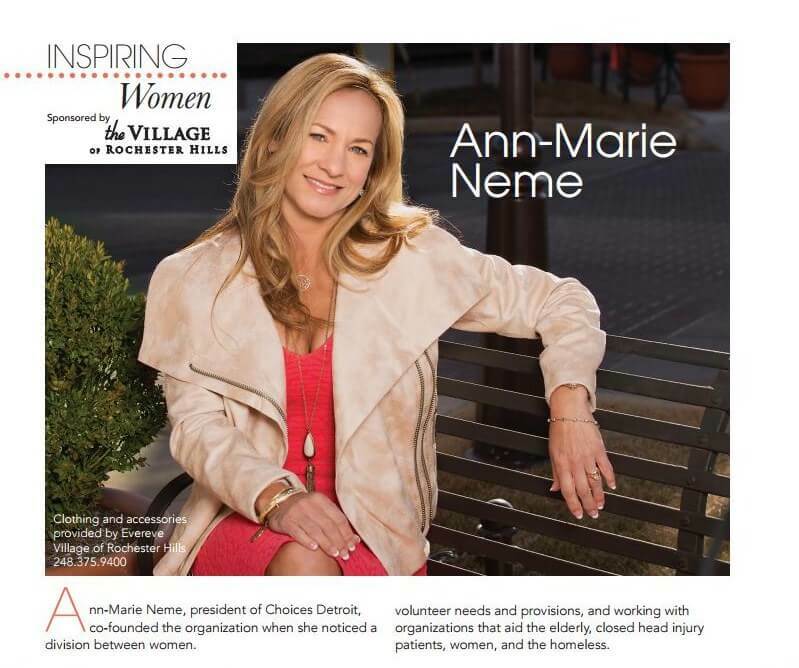 Everest mom Ann Marie Neme wrote a article about the organization, Choices Detroit, featured in My Magazine Southern Oakland County. To read it, go to the link below, click on the magazine image and go to page 22. “Choices Detroit is committed to uniting women and finding common ground to grow in our understanding of each other and ourselves making a difference one woman at a time. We promote the authentic identity of woman and an appreciation of her special capacity for humanizing culture and society. We aim to promote a greater and more effective appreciation towards the woman who freely assumes attitudes and responsibilities of generous dedication to others. Their commitment reminds us that humanity’s greatest wealth is humanity itself personalized in each human being. Choices Detroit collaborates with other nonprofits that support the needs of others. The women involved are reminded that they make a difference being who they are, getting out and personally touching another in an effort to remind them that struggles and suffering are a part of life and helps lift the burdens of their everyday labors to see the plight of another — to put life into perspective. Understanding this concept helps women return home with their hearts open to serve with joy. For more information and to get involved, contact Ann-Marie at annmarie@choicesdetroit.com.